It's live! 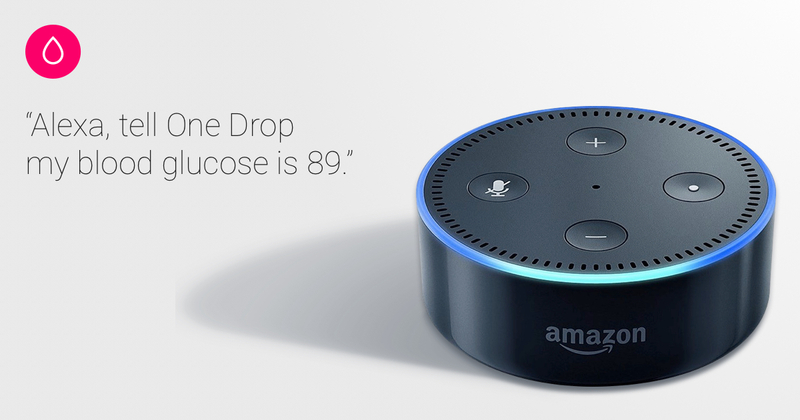 The One Drop Alexa Skill is finally here, and with it, the ability to log all of your diabetes data without ever lifting a finger. We can now log and track our blood glucose, activity and food moments, and receive data summaries of those records, all via voice command! You bet. People in separate locations (a mother, grandfather, caregiver, etc.) can access these same data snapshots as long as they have access to your One Drop account. Ask Alexa to log your current meal from across a room and that data point becomes immediately available to everyone with access to your One Drop data. If you are working with a One Drop | Expert, you can start a conversation about the current meal right away! How do I get One Drop Alexa? Simple! As long as you have an Alexa device (Amazon Alexa or Amazon Echo) and your own One Drop app account, you're ready to get started. Here's what to do next: on Desktop / Mobile Web Browser: -Go to the One Drop Alexa landing page -Enable Skill -Sign In to your One Drop account *you may need to turn off pop-up blockers here -Grant Permissions by pressing OK -You're in! on Mobile (Amazon Alexa App): -Menu > Skills -Search One Drop -Enable -Sign In to your One Drop account -Grant Permissions by pressing OK -You're in! When you're busy prepping your low-carb zucchini pasta, you don't have to waste any time logging your pre-dinner BG; instead, tell it to Alexa! Here are a few other questions and commands to try out: -“Alexa, tell One Drop my blood glucose is .” -“Alexa, tell One Drop I ate  carbs.” -“Alexa, tell One Drop I ate  carbs for lunch.” -“Alexa, tell One Drop I ran for  minutes.” -“Alexa, ask One Drop how many carbs have I eaten?” -“Alexa, ask One Drop what's my daily summary?” -“Alexa, ask One Drop what's my med schedule today?” It's always a good time to log diabetes data; now with your One Drop + Alexa, you can do it anytime, anywhere, without even lifting a finger.